Often referred to as ‘The Immigrant’, this portrait of Otti Binswanger was painted by Douglas MacDiarmid in 1945 and has been celebrated as a statement on displacement. Otti and her husband Paul were highly educated German refugees who found sanctuary in Christchurch in WWII, yet struggled to find work and fit into the confines of a colonial outpost. With his penchant for older, erudite folk, Douglas embraced them for their cultured outlook and thinking. Douglas did not want this painting to be called ‘The Immigrant’; it was a portrait of his good friend. Otti was a remarkable woman, a rhythmic gymnast, sculptor, author – so much more than an immigrant in what she gave to New Zealand in her few years in this country. Here you have a strongly built woman, arms crossed defensively, in a living room with her coat on. A very un-New Zealand looking scene, it is a strikingly modern take on portraiture and social commentary at a time when faces were usually painted in very traditionally style. The living room in which Douglas set Otti looked deliberately foreign from the usual kiwi parlour of the day. It was in fact the local home of another friend Dr Otto Frankel, a Viennese plant breeder and early wheat geneticist, and his New Zealand wife Margaret. The Frankels commissioned refugee architect, furniture designer and town planner Ernst Plischke to create their ultra-modern house at Opawa, a southern suburb of Christchurch. Otti wrote a book And how do you like this country? Stories of New Zealand, while living here. It was republished in 2010 with a new preface by Professor Livia Käthe Wittmann (of Christchurch) to introduce the stories and the personality and life of its author. This painting is part of the collection of The Dowse Art Museum, Lower Hutt, and appears in Douglas’ biography Colours of a Life on page 66. Otti’s portrait also features in the book Back and Beyond by Gregory O’Brien, an award-winning Wellington based polymath – painter, poet, curator and writer. Read the extract about his eye-opening journey of this painting in Book Extract: Back and Beyond 2008, reproduced with kind permission of Gregory O’Brien and Auckland University Press. There is a poignant connection between Otti and another of Douglas’ early portraits Woman and child in a room at night 1946 – the little girl Juliet is her beloved god daughter. 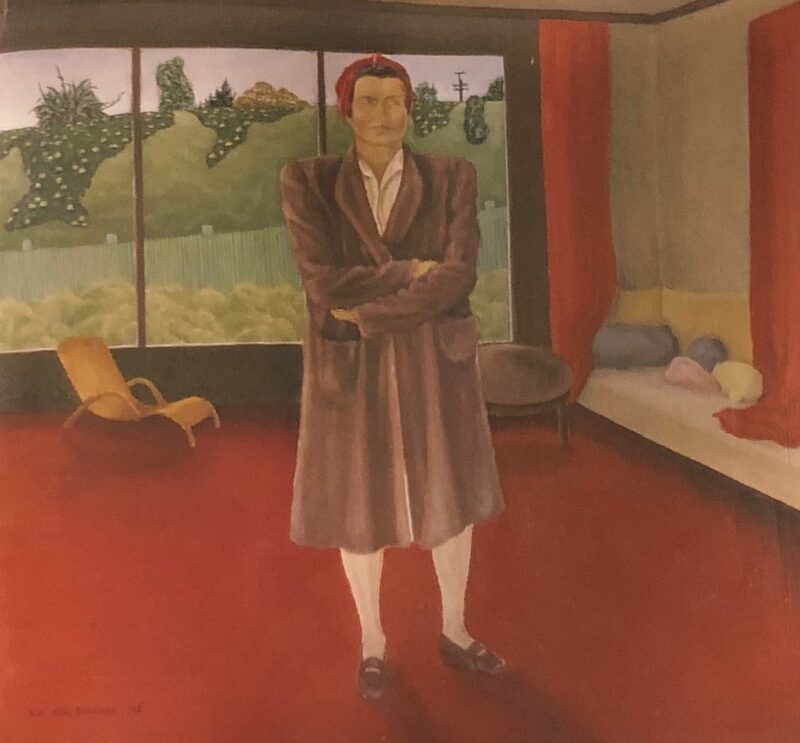 The painting appears in current New Zealand Portrait Gallery exhibition Colours of a Life: Douglas MacDiarmid in support of the release of his biography of the same name. 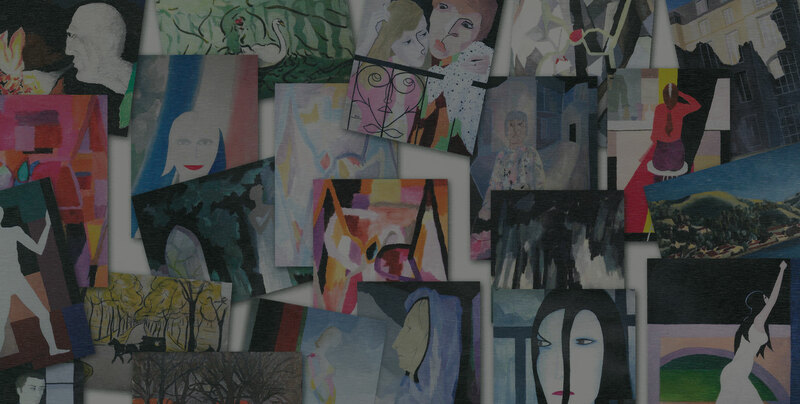 Here it sits within the context of a broader slice of Douglas’ portrait and figurative work, dating from 1945 to 2013. The exhibition continues at the Portrait Gallery until 23 September 2018.